This year we stayed at the Raeburn hut. A great hut which we hadn't stayed in for a few years. It offered a sheltered location from the driving wind and rain which occurred at times. Whilst no hills are on the door step, there are lots of hills, climbing and mountain biking available within a short drive (and a distillery). Attendees (for varying length of stays between 2-8 days) Simon C, Carmen, Simon F, Debra, Annie, Peter E, Peri, Mike S, Stuart M, Peter W and Sarah W.
27th December – gave us the best day of the week. Plenty of fresh snow, blue sky and light winds until later in the day. With the best forecast for the next few days Simon and I chose a long walk to Creag Mhor (a Corbett behind Bynack More) which took 5 hrs to the summit. We would never have made it without snow shoes! Meanwhile Simon F, Debra and Peri went munro bagging with a cycle up Glen Tilt to approach an ascent of Carn A' Chlamain. The evening was rounded off nicely with Peri's poached pears and Welsh cakes (which she had prepared the night before just to keep Simon F happy). 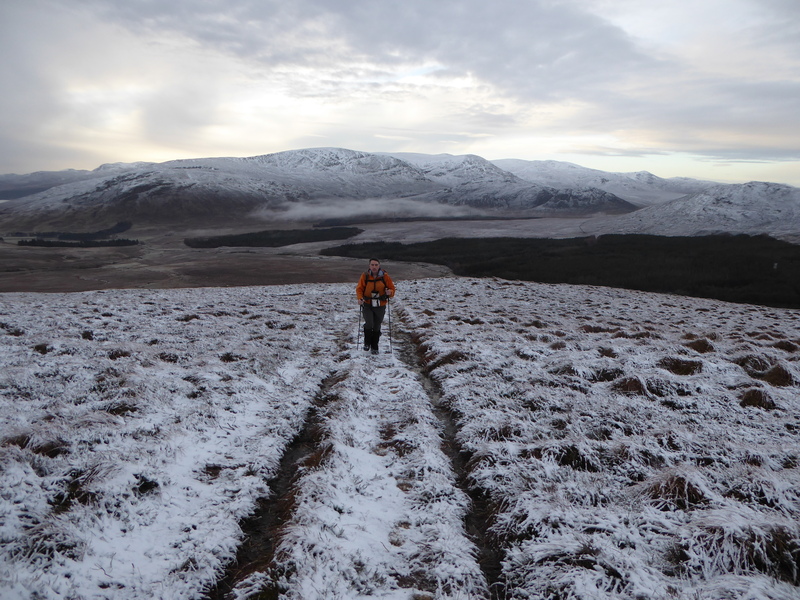 28th December – Annie, Pete E, Simon and I headed up another Corbett – The Fara. Annie cheated and hitched a lift to the start of the walk. It would have been good to do the whole ridge – but not in the very strong winds we battled against on top today. Peri enjoyed an exploratory cycle ride from the hut (especially enjoying the downhill sections). Debra cycled whilst Simon F ran around Loch Laggan (about 14 miles) and took him over his target of 1000 miles run in 2015 – so he was reasonably happy yet again. 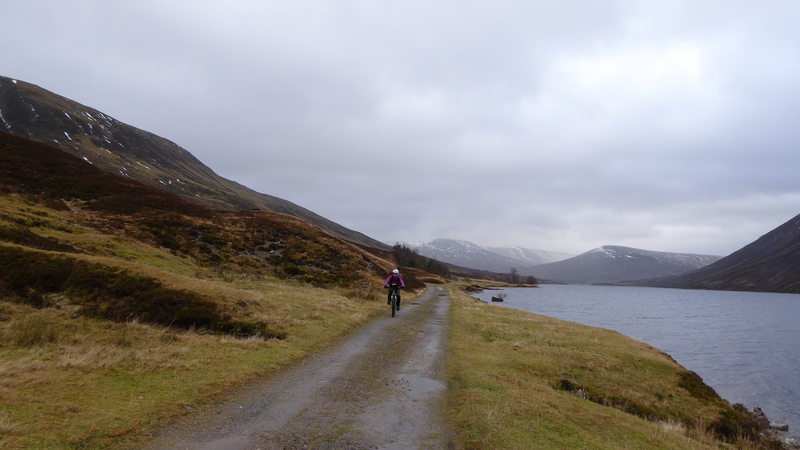 29th December – Pete E, Annie, Mike, Simon and myself cycled up Glen Garry. While the others carried on cycling to Kinloch Rannoch and back, Simon and I dumped the bikes for a quick ascent of the Corbett Beinn Mholach. Simon and Debra went bird watching/walking around Rothiemurchus forest – finding that the birds only seem to reside in the car park. Peri headed back to York to check the extent of the flooding. 30th December – S & D decided they would head off back to the Dales. As forecast it was very wet and very windy so the rest of us were content with a trip to the Dalwhinnie distillery (unfortunately no tours available – but we were given a free small dram), food shopping in Aviemore followed by a stop in the Laggan cafe (the old store has now re-opened as a cafe and with a few basic shopping supplies) – a nice cafe with a proper fire and much more relaxed than Aviemore. 31st – After several failed attempts in the past Peter E and Annie enjoyed an ascent of Meall a'Bhuachaille (a Corbett behind Glen More lodge). Simon and I went up Meall na h-Aisre (a Monadhliath Corbett) from Garva Bridge. We extended the walk as conditions were really good in the morning/early afternoon. New supplies of YAC folk arrived in the evening and we stuffed ourselves with soup, haggis and cheese. Given the good conditions forecast for the 1st we were all in bed soon after midnight and were up fairly early the following day. 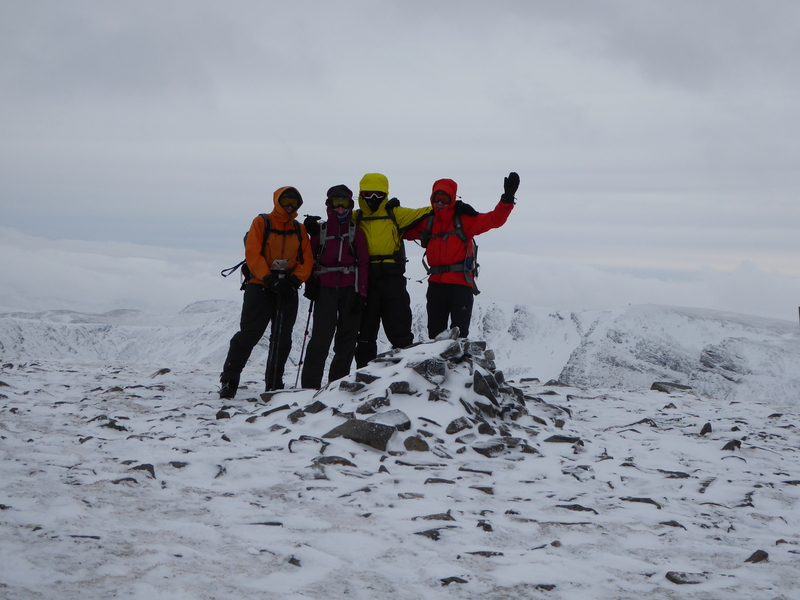 1st – Stuart, Peter and Sarah W, Simon C and myself went to do the classic horseshoe of Creag Meaghaidh. 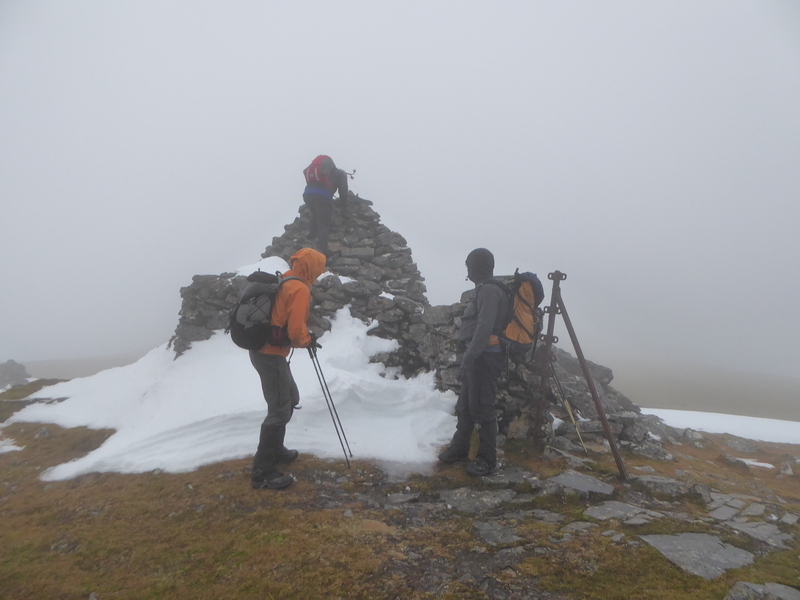 We remained mainly out of the cloud (with just one session of walking around in circles in the clag) with only a strong wind to contend with. Stuart and Simon entertained themselves sledging down a snow slope (repeatedly) and Sarah fell through a cornice (not over the edge thankfully). With Annie suffering from blisters and a lack of enthusiasm for cycling, Peter and Annie went up a Munro by the A9. Back at the hut Simon proved himself to be the undisputed board game champion (well Connect 4 and Scrabble). 2nd – After a slow start deciding what to do in the wind and rain – Simon and I went for a cycle around Rothiemurchus forest, with Pete and Annie opting for walking around the forest. Stuart met some people in a bothy and they joined him in his walk near the ski centre. Peter and Sara W went Munro-bagging with ascents of Stob Coire Sgriodain and Chno Dearg in the cloud. Overall a good trip and we did quite well considering the weather. Surprisingly we failed to make much of a dent on Annie' s drink cabinet (apart from the gin). 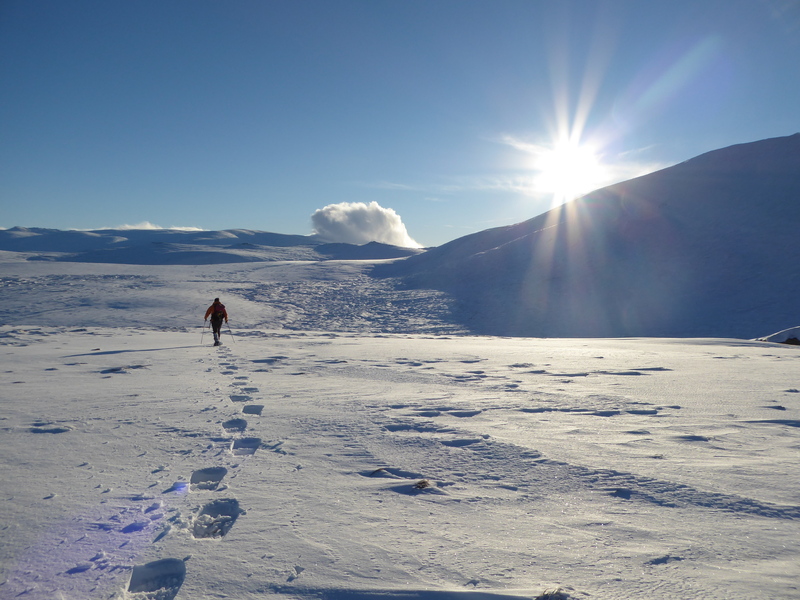 You are currently browsing the York Alpine Club Blog blog archives for January, 2016.